Other names: gambhru khatta, kharna khatta. Sadaphal is a native of India. It grows all over India upto an elevation of 1000 m. Some botanists believe sadaphal to be natural hybrid between sour orange and lemon. A thorny spreading tree, 4.5-6 m in height; leaves ovate or ovate oblong, 6.5-9.5 cm long and 4.5-5.5 cm broad; margin serrulate, articulated, petioles prominently winged; flowers tinged with red or purple. 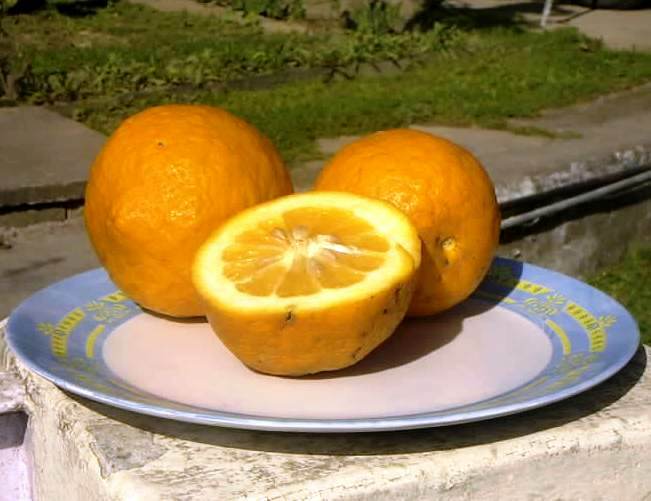 Fruits variable, large ovate oblong, broadly mamillate, occasionally almost obtuse, 9-12 cm long, 8-11 cm in diameter, orange coloured, rind rough and irregular, thick, brittle, sweet, strongly adhering, core open at maturity, vesicles orange coloured, very juicy, sour, melting; seeds many, cotyledons white, moderately polyembryonic. 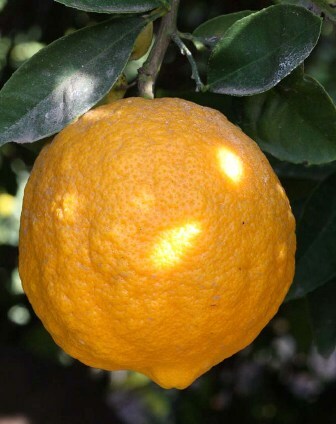 This is widely used as a rootstock for mandarin orange in many parts of India. Sadaphal is grown in home as well as gardens. pasted on the inner surface. A few drops of oil are put on a burning piece of charcoal and the smoking charcoal is then put into the cored and marinated fruit and the fruit is closed for some 30-40 seconds. This imparts a characteristic flavour to the fruit which is then cut into mall pieces and eaten. This preparation is very popular with women who have a sadaphal party while basking in sun during winter days. 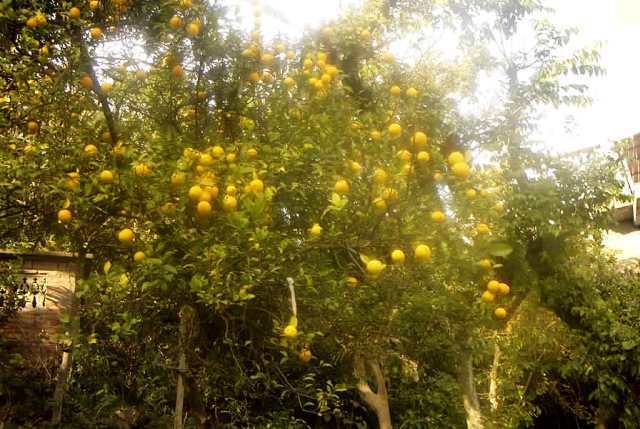 Sadaphal is also used as a rootstock for mandarins in some parts of North India.